An excellent 4 bed property offering all double rooms, 2 spacious reception rooms and modern fitted kitchen and bathroom. Located just off Ormeau Road in the popular Holylands area. 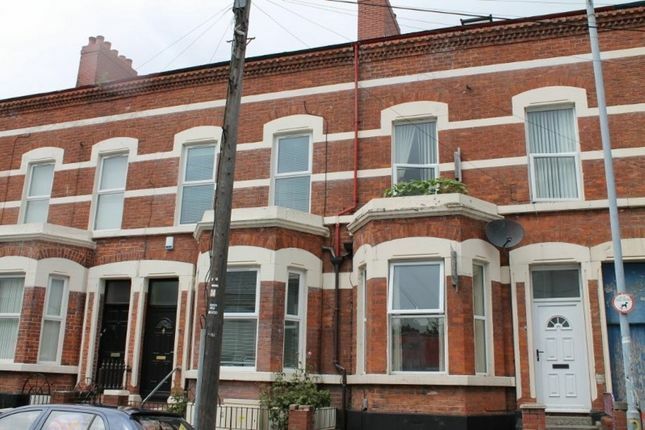 Close to Queens University, Stranmillis College and links to University of Ulster. Reception (1) - Spacious lounge neutrally decorated with laminate wood flooring & feature fireplace. (2) - Spacious dining room neutrally decorated with laminate wood flooring. Kitchen - Modern fitted kitchen with appliances, part tiled walls and tiled flooring. Bedroom - 4 good size double bedrooms, all neutrally decorated and carpeted. Bathroom (1) - Good size bathroom neutrally decorated with while bath suite and shower over bath. (2) - Separate WC and wash hand basin.